Save up to $1,300 off an EasyFold Now! Save up to $1,300 of an EasyFold! The Balanced Air Adjustable Cushion om Drive and Mason Medical is a premier pressure management cushion offering dynamic positioning, unmatched stability and an advanced level of pressure ulcer prevention. 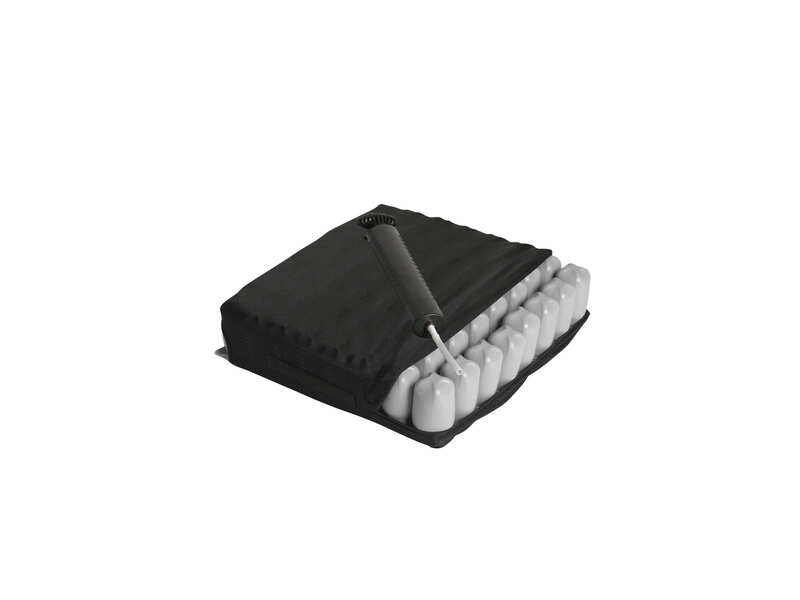 The flexible interconnected, independent air cells allow for deep immersion into the cushion providing optimal pressure redistribution to help increase blood flow necessary for healthy tissue maintenance. 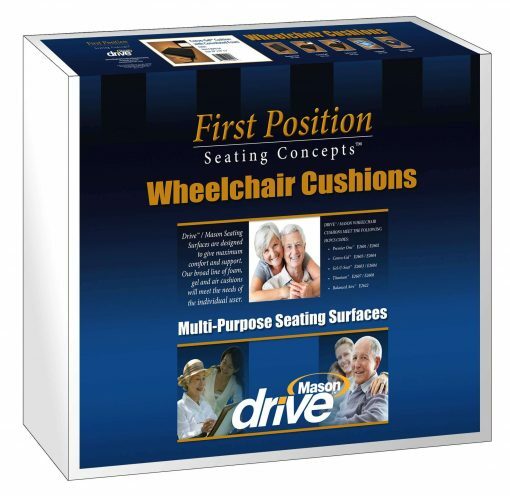 The water-resistant, low-shear stretch cover includes adjustable locking straps and non-skid bottom to secure cushion to the EasyFold portable power wheelchair. 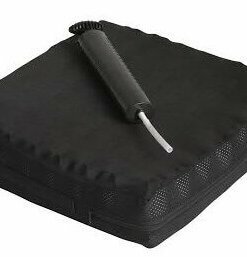 The included hand pump allows adjustment of the cushion to individual customer comfort. So easy to use! I folded it up in five seconds and was light enough to pick up! Seems like an excellent choice especially the batteries! Brilliant idea! Thinking about buying one while they're on sale. I'll write a real review next week! My chair is the best purchase I have made in a long time. 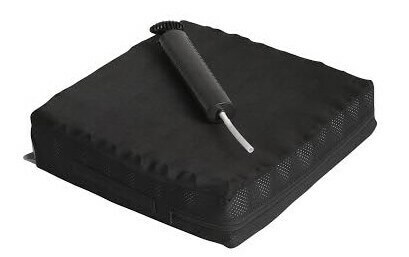 It gives me a freedom and a sense of being part of life again...I also love the look of surprise on peoples faces when they see it fold and fit in the trunk of a car!